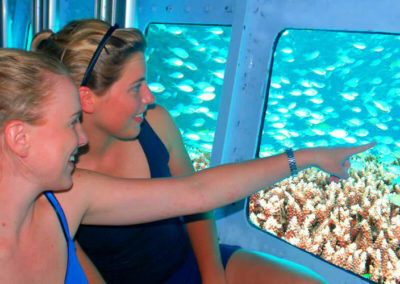 This day cruise travels out to Reef Magic’s exclusive outer reef platform at Marine World for a fun filled day of adventure on the Great Barrier Reef. 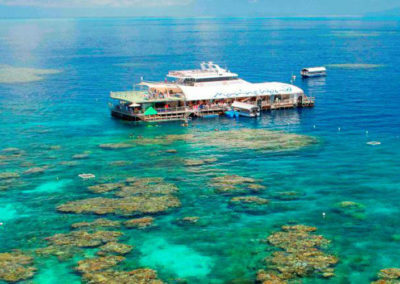 This stunning reef platform is situated in a sheltered coral reef lagoon perfect for visitors to discover the coral reef formations and come face to face with friendly marine life. 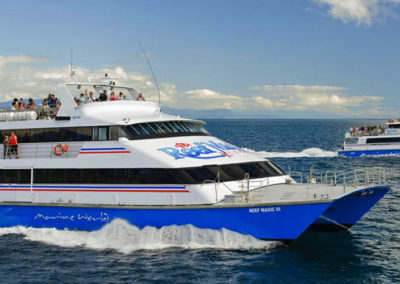 Begin the day by travelling to the outer barrier reef on a fast catamaran taking in the beautiful ocean scenery on the way. Complimentary morning tea is served whilst you travel out Marine World. 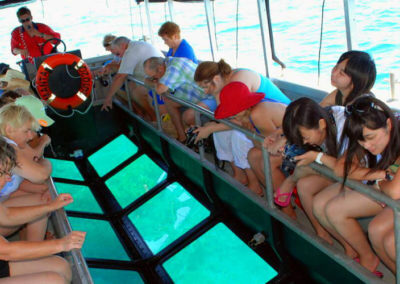 Upon arrival, you will have unlimited access to snorkel the coral reefs, the underwater observatory, a glass bottom boat tour, fish feeding and presentations by marine biologists. A hot and cold buffet lunch is also served to keep you fuelled up for a day full of adventure. 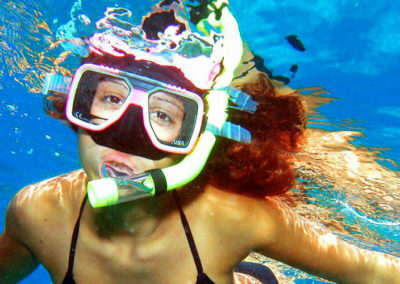 Optional activities are available out on the platform including introductory or certified diving, helmet diving, guided snorkel tours and scenic helicopter tours. A $6.50 per person levy is not included and is payable on the day. This cruise is exceptional value for money and is perfect for families, groups, independent travellers and non-swimmers because of the variety of activities on offer. Don’t miss out! 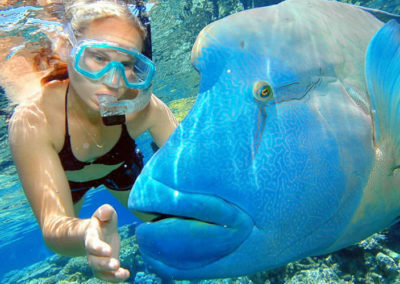 Book your Great Barrier Reef snorkel cruise online today!